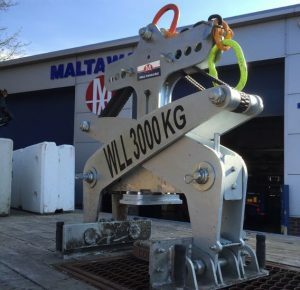 Maltaward stock and supply Concrete Barrier Block Lifting Grabs available for hire and for sale. 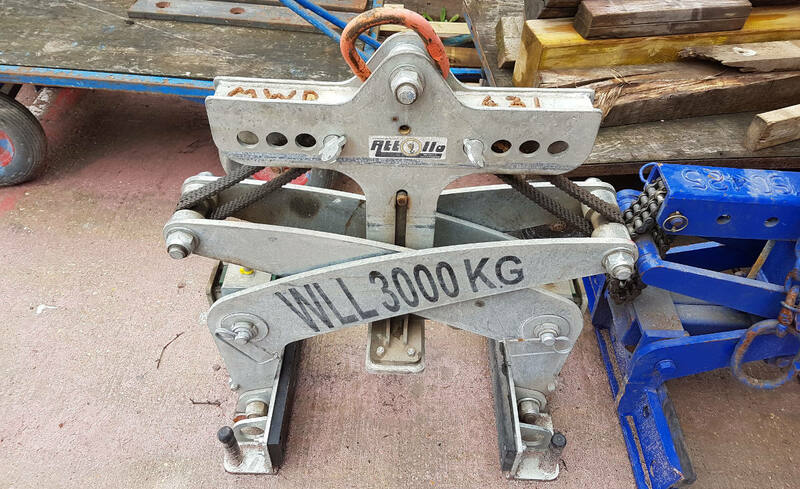 The barrier lifting grabs for concrete barriers are fully automatic, with a lifting capacity from 2000kgs. Maltaward also supplies the hire of barrier lifting grabs which have a special lifting capacity of up to 8000kgs. 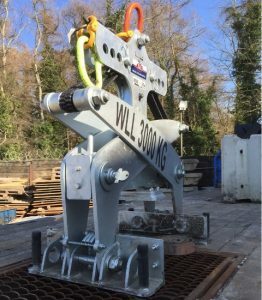 The lifting grabs are suitable for use with a wide range of concrete barriers and blocks, including jersey barriers and TVCB concrete road barriers. Depending on the application, the Maltaward Concrete barrier lifting grabs can be supplied with either Rubber Jaw or Metal Jaws. At Maltaward we provide you with work and maintenance instructions should you wish to hire or buy the concrete barrier handling device. Download our instructions pack with technical drawings for a complete understanding of the product.